Makgadikgadi Pans Travel Guide | When to Visit. What to Do. When to go and what to do there. 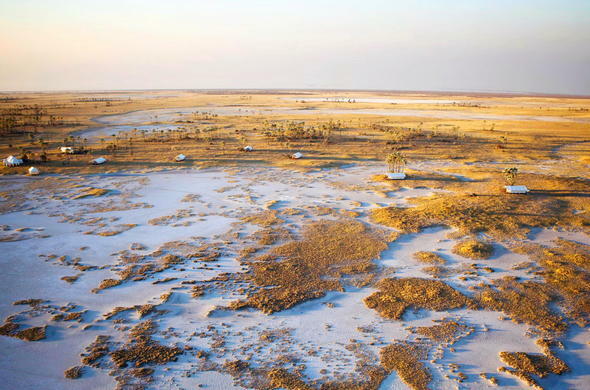 The Makgadikgadi Pans are the vast, salty remains of an ancient super-lake. The land has been irresistible to great explorers of the past and its mysterious appeal continues today. A safari in both seasons is highly recommended for the travelling adventurer. The Makgadikgadi Pans can be reached by SUV vehicles, but a 4x4 is a better option for greater exploration on self-drive itineraries. This region can also be accessed via aircraft charter flights from surrounding airports. The Pans are found between the cities of Francistown in the east and Maun in the west, with smaller towns of Sowa, Nata and Gweta located around the upper section. An excellent stopover for visitors driving from Gaborone to northern Botswana is the Khama Rhino Sanctuary near historic Serowe which is just off the main highway en-route to Francistown. Maun Airport is the hub for commercial flights connecting to light aircraft charter flights which transport guests to airstrips in the Makgadikgadi. Kasane Airport can also be used for connecting flights on certain routes. 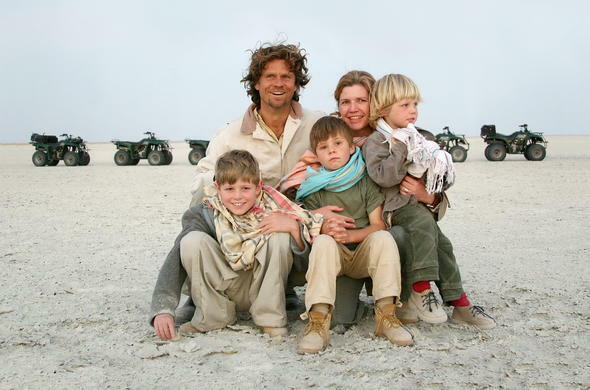 Makgadikgadi lodges have their own airstrips or share an airstrip with other lodges in the area. Another option would be Francistown Airport. The Makgadikgadi Pans in the Kalahari Basin, cover a massive area (about the size of Portugal), forming the largest salt pans in the world. The most commonly visited are Sua, Ntwetwe and Nxai Pans. The Makgadikgadi Pans National Park is situated on the western edge of this region, and the Nxai Pans National Park is located just above it. This region has a number of archaeological features and unusual landmarks such as rocky outcrops and Baobab trees. The Boteti River flows through the Makgadikgadi Pans National Park when the Okavango floodwaters are high and rainfall is adequate. The Makgadikgadi Pans dazzling lunar landscapes by day and the clear, star-filled skies at night are simply unforgettable. Quad-biking across the endless pans is an amazing activity as is going on guided walks with Bushmen. This is an ancient place and you'll find evidence of the past which dates back to the Stone Age. Surprisingly, you'll spot flora and fauna here that has adapted to life in a desert. And, just when you think you've seen it all, the rains come and transform the Pans into a watery wonderland. This period is short but remarkable. Thousands of Pink Flamingos settle on Sowa Pan and great herds of Wildebeest, Zebra and Impala graze on the sweet grasses, while Lion, Cheetah, Leopard, Jackal and Hyena take their opportunities. Flying over the pans in the wet season is a visual delight and the only way to take in the magnitude of birdlife. The Dry Winter Season - March to October. This season includes peak winter days with sunny and warm daylight hours, but the nights are extremely cold. From August to November windy weather sets in, with October being the hottest month, and Wildebeest and Zebra herds migrate slowly toward the Boteti River in anticipation of the rains. The Wet Summer Season - November to March. Roads can become impassable at this time, but the Pans usually retain water into April or May which is great for birding and watching game. The landscape is lush and beautiful, attracting grazers to feed on the grasslands and predators to feed on the grazers. The glistening open white spaces of the Makgadikgadi Pans stretch for as far as the eye can see to the bright blue horizon. It's a surreal experience to walk or quad bike on this salty expanse and the silence is overwhelming. With nothing to focus on, your mind turns inward and you begin to contemplate your place in the universe. The bushmen can live in this arid zone, just as their ancestors did over thousands of years. When you go on an interpretive walk with your Bushmen guide, you'll be introduced to his way of life - how he finds water and tracks animals and how he utilises is vast knowledge of the natural world. On game drives, your experience will be about following desert-adapted species and the interaction between prey and predator in dry and wet conditions. The wet season is a wonder to behold, especially if you have already experienced a dry season safari in the Makgadikgadi. Nxai Pan is a little different to the rest of this region. There is more moisture and grass which attracts wildlife. Giraffe enjoy the acacia thickets and Elephant can sometimes be seen in amongst the Mopane trees, while plains game favour the grasslands. Cheetah sightings are dramatic and frequent here as they hunt at speed, but you can also see Lion, Leopard and Jackal. Hardy species that can survive extreme heat and dryness include Eland, Oryx and Springbok. On excursions in the Makgadikgadi you could visit fossil beds and archaeological sites, or stand in awe next to an ancient Baobab tree - these giant landmarks like their own space, but in the unusual case of Baines Baobabs there are 5 growing together. Nata Bird Sanctuary is another attraction especially in a spectacular rainy season. In between outings you can enjoy heart-warming walks with habituated but still wild Meerkats, who may even feel free to use your head as a look out post! 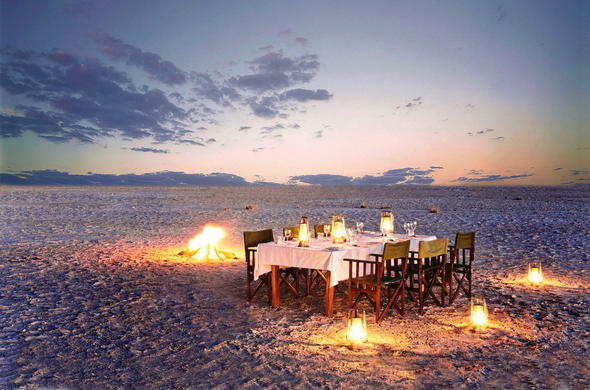 You can find a range of accommodation in the Makgadikgadi region to suit your needs. Award-winning Jack's Camp and the romantic, solar powered San Camp, offer tented accommodation with high comfort and great character. Leroo La Tau is an elegant lodge at the edge of the Boteti River in the western Makgadikgadi. Planet Baobab is a fun and affordable, interactive camp for families, groups and independent travellers. Nxai Pan Camp offers stylish eco-friendly thatched accommodation overlooking a waterhole at the edge of the Nxai Pan. This is a malaria zone so you will need to take precautions. This should be done two weeks prior to travelling, as well as whilst travellingMosquitoes are especially active in the rainy season and at sunset, so cover exposed skin in particular around wrists and ankles. Prepare for the hot climate - it is warm in the day-time even in winter (although there is a huge drop in temperature at night in peak winter months). October is the hottest month. 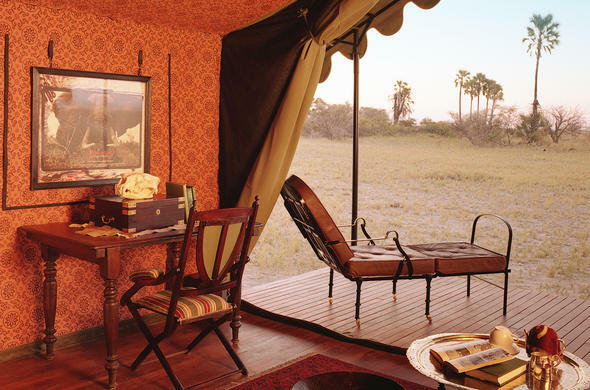 Most safari activities occur in the morning or evening when it is cooler to avoid the intense midday heat.